--United States Court of Appeals, First Circuit, describing John Fitzpatrick Vannucci. Rodriguez v. Senor Frog’s De La Isle, Inc.
(1st Cir. 2011) 642 F.3d 28, 31. Your Personal Injury (Auto, Premise Liability), Bad Faith Insurance, Civil Rights Violations and Products Liability Litigation Expert. John F. Vannucci is a Plaintiff's attorney. John F. Vannucci dedicates his practice to helping good people who have been thrust, unnaturally, into bad situations through the negligence or intentional acts of others. If you, through the fault of another, have suffered physical injury, or if you have been or are being taken advantage of by your own insurance company or employer, you should talk with John Vannucci. John began his legal career working for a large insurance defense law firm representing the types of companies he now sues on behalf of his clients. After this he was a criminal prosecutor assigned to a trial court. The vast majority of cases settle. But they only settle for value when the other side knows you are ready, willing, and able to try the case to a jury verdict. If negotiations break down, John will try your case for you. Most cases are done on a contingency fee basis which means John fronts all the case costs, filing fees and the expert witness costs (which are significant). John gets paid a percentage only when you recover money through settlement (1/3) or verdict (2/5.) If you don’t recover from the suit, he eats the costs with you owing him nothing. This means if he takes your case, it’s his money as well as his time on the line. And since he only takes cases he believes are just and that have a good chance resulting in a monetary recovery, he takes your case just as seriously as you do. 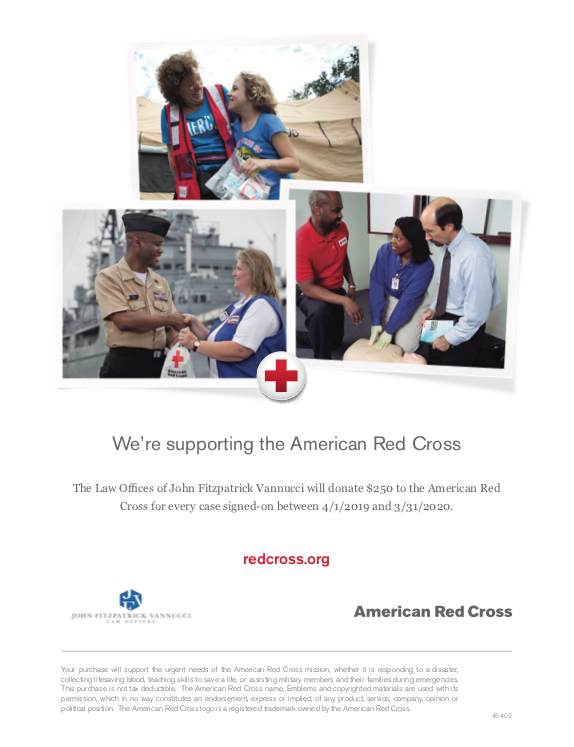 Learn about our new commitment to the American Red Cross. John Fitzpatrick Vannucci has tried over fifty cases to jury verdict with excellent results in various jurisdictions. He is an Associate member of the exclusive trial lawyer organization ABOTA and is consistently included on the list of Super Lawyers (top 5% of lawyers in the state.) John is a San Francisco native—as are his parents. He obtained his undergraduate degree at Santa Clara University where he was an NCAA Boxer and studied Piano and English. 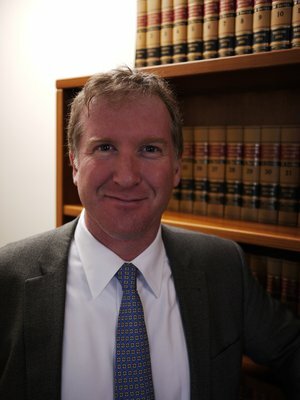 John then attended the University of San Francisco School of Law. John is a Director on the Board of the San Francisco Trial Lawyers Organization and is a member of the Consumer Attorneys of California (CAOC), the American Association for Justice (AAJ), and the San Francisco Lawyers Club Inn of Court.